Dan Brown continues to amaze. His latest book, The Lost Symbol, is nothing short of a master piece. It thrills you, educates you, enlightens you, keeps you turning pages and makes you so involved in the book that you forget what was around you. Another thing I found interesting about this book was that it kept me refer the dictionary, the bible, some textbooks, google every now and then. It was not because of his inability to clearly describe things, but because of his ability in creating an interest in the subject. This book, like the authors’ previous works – Angels and Demons and Da Vinci Code, has the celebrated professor Robert Langdon as the protagonist.The story begins when Robert Langdon is unexpectedly summoned to Washington D.C. to deliver a talk. On reaching there, he finds the auditorium empty. From there on, starts a 12 hours story that will keep you spellbound. The book deals with Freemasonary, ancient secrets, neotic science and as from the previous Dan Brown books, symbols, codes, anagrams, religions, Bible, and what not. Especially since the book deals with a theme I love, I place it among the great books I have read. It certainly have kindled in me an interest to read the Bible, Upanishads and other books which have survived the battle of time. 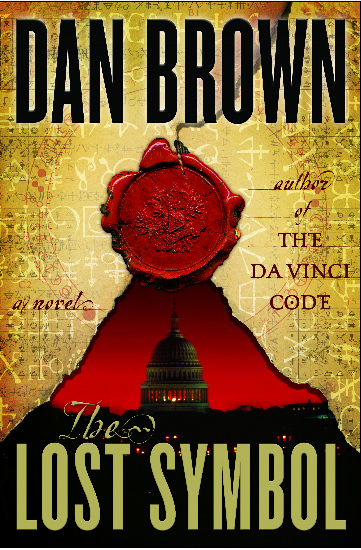 Five stars for The Lost Symbol. You are currently browsing the My life blog archives for August, 2010.